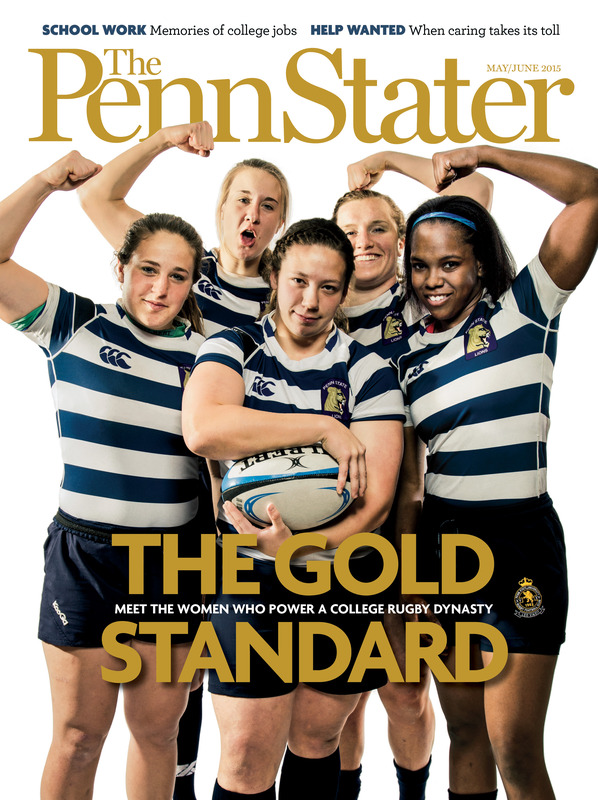 We appreciate the continued commitment of the women’s rugby program to making us look smart. The Lions, who we featured on the cover of our May/June issue last year, traveled to California over the weekend and came back with their fifth straight national championship. Penn State knocked off BYU, 15-5, to extend one of the most impressive dynasties in college sports. Led by coach Kate Daley ’09—who we profile during her All-American undergrad days way back in 2009—and an MVP performance from freshman Azniv Nalbandian, the Lions claimed the inaugural D1 Elite final, the title game of the new women’s college rugby playoff format. But there was nothing new about this for Penn State: It was not only the program’s fifth consecutive championship, but its 11th overall, the most of any team in the nation. Entry filed under: Athletics, The Penn Stater Magazine. Tags: Kate Daley, Penn State women's rugby, Women's Rugby.